Find out what all the buzz is about with Beni Color Kichi Koi Food! 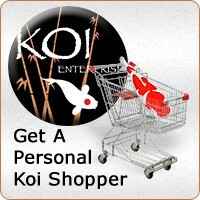 Koi and pond hobbiest alike are giving great reviews and the the benifits are seen first hand. Plus the fish really do love this food!! Take a look at the new video posted explaining the benifits of Bio-Mos addition to Beni Koi Food! Beni Koi Foods have been used throughout the US with 100% positive feed-back. Milled fresh every spring, Beni Koi Food never sits long on our shelves. It is milled in a FDA-certified facility with ingredients that are of the highest quality. In fact, quality tests of the raw materials are taken on a regular basis to meet our high standard. Made in the USA, Beni Koi Food contains one of the purest forms of spirulina found in the world -- from the islands of Hawaii. Spirulina is known for its protein benefit as well as a color stimulant. Keep your reds red, and your whites white, not yellow. Top quality, pure ingredients are the start of the food base along with an emphasis on freshness. Beni contains ingredients for immune system stimulation, anti-oxidants, montmorillonite clay milled in the food, and a 10% spirulina content which is found in many top quality koi foods. 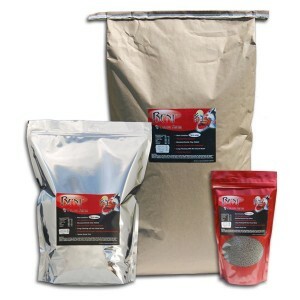 Our koi food is available in 17 oz foil zip bags,10lb foil zip bags and 40lb bulk bags. If you have a pond full of hungry mouths and you don’t want to break the bank, try Beni this spring and see the difference! Description: The benifits of feeding Beni Color Kichi to your koi and pond fish are 10 fold!! Find out what makes this blend a leader in pond fish diets!